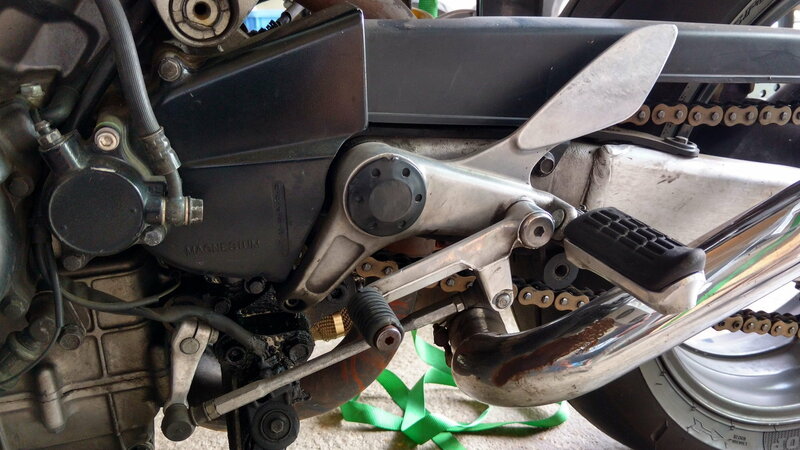 Selling left rearset including shifter linkage. These were replaced by Danmotos. Off a ‘98 bike, removed at 40,000 miles. Update - rider peg is in fact bent, therefore not for sale anymore. L side only. It is straight and undamaged, save for wear that would be expected of the mileage. Asking $60USD + shipping. I’m located in Ontario, Canada. Update - right peg is actually bent and no longer for sale. Left side only!